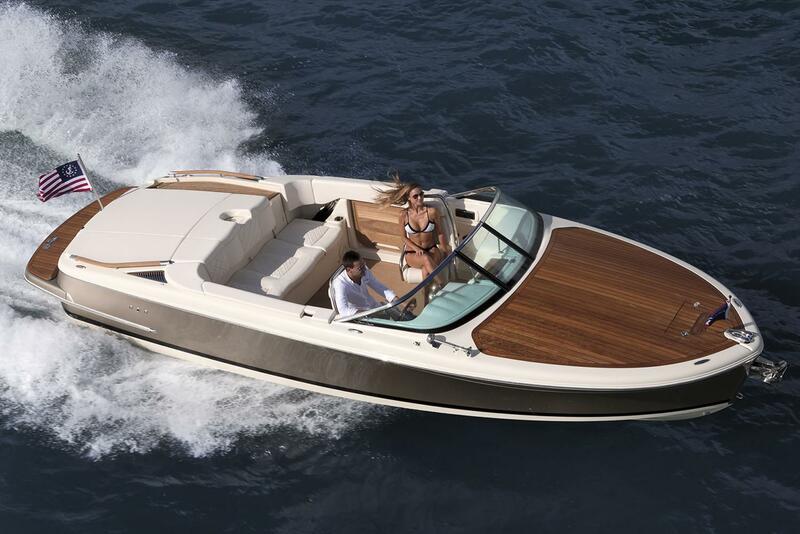 ≡ Chris-Craft, one of the oldest names in modern American boatbuilding, has new owners…again. This time it’s a nonnautical corporation big in the leisure industry—none other than RV manufacturer Winnebago Industries Inc., which paid an unknown amount to take it from Stellican Ltd. Based in Sarasota, Florida, Chris-Craft currently builds 18 different models of powerboats up to 44‘ (13.4m) in its 170,000-sq-ft (15,810m²) plant. ≡ The Chesapeake Bay Maritime Museum in St. Michaels, Maryland, has announced a variety of education programs available to the public. Called Apprentice for a Day, titles include Timber Frame Raising; Electronic Navigation for Non-Technical People; Boating Essentials; Plane-Making; Intro to Woodworking; Lofting; Open Boatshop; Chart Navigation; Three-Strand Rope Splicing; Recommissioning Your Outboard; Bronze Casting; and more. Other opportunities include working on the 1912 river tug Delaware restoration. ≡ Dave Christensen, founder and former owner of Christensen Shipyards, died last October 15 in Vancouver, Washington. He was 87. From an obit: “A successful home builder and real estate developer in the Vancouver area, Dave parlayed his land-based entrepreneurial success into an inter­nationally respected yacht building business. Dave began building yachts in 1983 after a trip to Mexico on a locally built yacht, which he had commissioned as a ‘retirement’ present to himself.” Christiansen wasn’t impressed with the boats for hire and so made the impetuous decision to launch his own yard, Christensen Shipyards. He was active in the industry for 25 years. Last year the M/V Chasseur won Best Power Design in the 40m–65m (131‘–213‘) category from the International Superyacht Society. ≡ The high-performance multihull SLIM has a slim chance of bearing failure. Vesconite, maker of self-lubricating bearings and bushings, supplied the Gunboat 66 (20m) catamaran with rudder and daggerboard bearing material during a 2015 refit. Since then, the all-carbon sailer has raced more than 20,000 nm, with speeds up to 20 knots. Vesconite says the material has exceptional wear properties and can be machined to tolerances of ±0.001“. ≡ The oldest shipwreck in the world has reportedly been found a mile deep (1.6 km) in the Black Sea. The Black Sea Maritime Archeology Project, run by the University of Southampton in the U.K., discovered the remains of the Greek ship last year. A press release said that radiocarbon testing places the age of the trading vessel at around 400 B.C., during “the days of Plato and Sophocles, when the city-states of ancient Greece had scattered colonies all around the Black Sea. Since then, it has sat at a depth that more than doubles the height of the tallest skyscraper in the world. In water that deep, oxygen is hard to come by, and because of that, so too are the organic processes that help drive decomposition.” The research team scanned an area of 800 square miles (2,072 km²) to survey the seabed, locating dozens of other wrecks as well.